Pedestrian huddle under umbrellas on Congress Street in Portland on Monday. FREEPORT, Maine — Just over 2,000 Central Maine Power customers remained without power at 8:45 a.m. Tuesday following an overnight wind and rainstorm that at one point reportedly knocked out electricity for nearly 10,000 accounts. As many as 2,200 Emera customers also lost power overnight, but nearly all accounts — mostly in Aroostook and Washington counties — had power back by 8:45 a.m. The bulk of CMP customers still in the dark at 8:45 a.m. were in Lincoln (122), Cumberland (899), Sagadahoc (148), and Franklin (655) counties. Sleet, freezing rain and high winds gusting up to 40 mph blew through Maine over the past two days, prompting the National Weather Service to post winter weather advisories that covered most of the state by the end of the day Monday. By Tuesday morning, only parts of northern and western Maine had been issued a less severe hazardous weather outlook, warning of strong winds in the 15-mph range. The blustery weather accompanied a late-season cold spell. 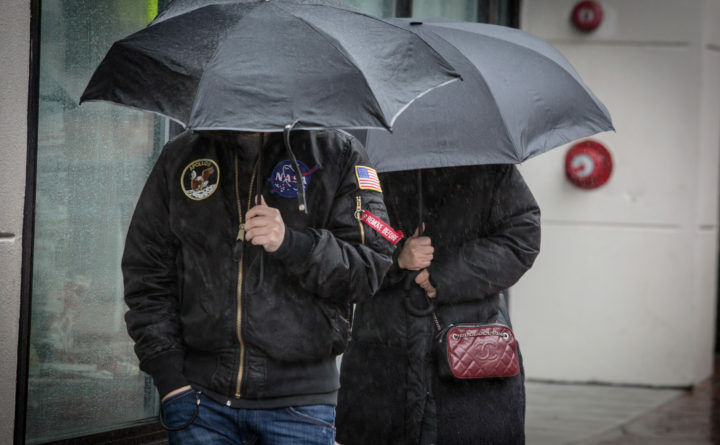 Near-record cold arrived Sunday in Portland, where the temperature didn’t rise above 32 degrees, the coldest high temperature for April 15 since 1970, according to the weather service. Snow returns to eastern Maine. But it won’t stick around for long.